500 words / 2 min. Tweet Share A “passive” version of the right to privacy – the “right to be let alone” – creates challenges for advocates against domestic violence. A more “active” version provides a viable alternative. 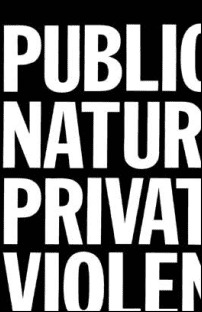 In “The Violence of Privacy,” a chapter in a larger edited work from 1994 called The Public Nature of Private Violence, Elizabeth M. Schneider discusses the challenges posed to activists against domestic violence by mid-to-late twentieth century developments in privacy jurisprudence. She goes on to describe the potential for a shift from a more passive “right to be let alone” version of privacy — as articulated in, for example, Justice William Douglas’ majority opinion in Griswold v. Connecticut and traceable back to Warren and Brandeis’ 1890 law review article on privacy as well as Thomas Cooley’s earlier Treatise on the Law of Torts — with a more aggressive and affirmative version of privacy as a guarantee of liberty, and articulated by Justice Douglas’ concurring opinion in Roe v. Wade eight years later. Privacy [of this kind] justifies the refusal of the state to intervene, of judges to issue restraining orders, of neighbors and friends to intervene or to call the police, of communities to confront the problem, and of social workers to act.